Below are instructions how to get started with cryptotrader.online. Do you like to know how it works, check the information in "How does it work?" We advice to secure your account with Two-Factor Authentication (2FA). When you enable 2-Step Verification (also known as two-factor authentication), you add an extra layer of security to your account. You sign in with something you know (your password) and something you have (a code from a app on your phone which changes every 30 seconds). When a hacker wants to access your account they need to know the password and have physical access to your phone. This makes it very difficult for hackers to access your account. We have good experiences with the Google Authenticator -and the Authy App for your smartphone. You money (USD) and your bitcoins will be stored in your bitstamp account so you want to be sure that nobody else can access it. 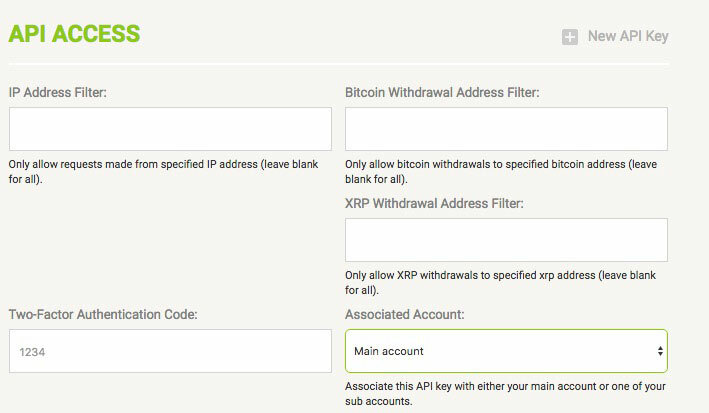 To get started with your Bitstamp account, the account must be verified by Bitstamp. For this you need identity proof (passport) and proof of residence. 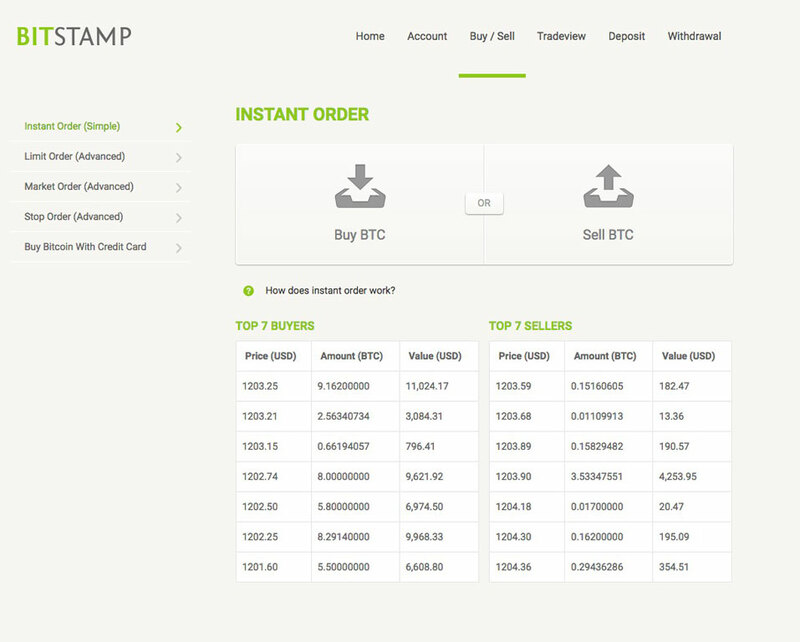 On the Bitstamp website you can find detailed instructions. Make sure that you read those instructions very carefully. The verification process can take up to a week. As soon as your account is verified you can continue with step 2. Press the button “Generate Key”. Now your API-KEY and SECRET will be shown on the screen. Make a copy of your API-KEY and SECRET and paste them in a text editor (like Notepad). The SECRET will be shown only once and cannot be shown again later. IMPORTANT: Click on the “Activate” API key button. 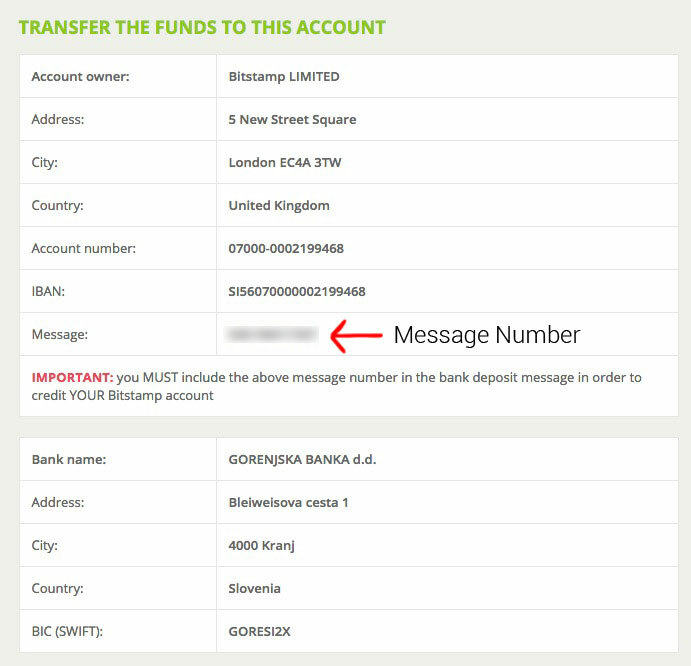 You will receive an email from bitstamp with a confirmation link. Click on this link to activate your key. Before you can start trading with your Bitstamp account you must have US Dollars (USD). There are several methods: International Wire Transfer, EU bank (SEPA), Creditcard or deposit of Bitcoins. Advice: Never invest more than you can miss. There are always risks. Fill in all the required fields and make sure that “U.S. dollar” is selected as account balance. 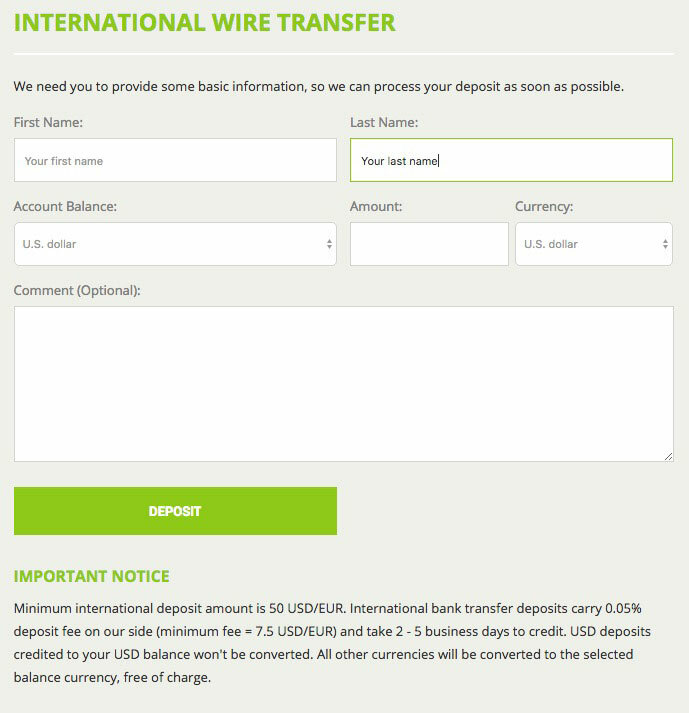 Use the information above to make an international wire transfer. When you have an European bank account you can use a free SEPA bank transfer. The procedure is equal to international wire transfer. When you have Bitcoin you can transfer it to your account at Bitstamp and convert them immediate in USD. Here are some tips where to buy bitcoins online. You can store these Bitcoins on your Bitcoin wallet on your smartphone. We would recommend the free Copay Bitcoin Wallet for iOS and the Mycelium wallet for Android. For larger amounts of Bitcoin we advice to use a more secure hardware wallet like Trezor or Ledger Nano S.
– Transfer your Bitcoins to the new address shown by scanning the QR code using the Bitcoin wallet on your smartphone. ps If the bitcoin network is busy, it may take longer for the bitcoin to arrive. The trader can only start when there are USD in your account. You can check your BTC and USD balance on the top of the screen. You should have 0 BTC and some amount of USD. You can continue with step 4 if this is the case. Choose the right market BTC/USD in the top left corner of your screen. Go to Buy / Sell -> click on Sell BTC to sell all your BTC into USD. Normally this should take only a few moments. On the top of your screen you can see the balance. If everything went successfull BTC should be 0 and the full amount should be in USD. Go to the registration form and fill in the required fields. As soon as we have received your registration we create an account at Cryptotrader.online and send you an email to get started.